From NYFW, we head to Europe, where London, Milan and Paris all to have their chance to shine. Fashion month feels like an endless catwalk and there are times when the looks can blend into one, but there are always a few which rise above the rest. Here at Murphy Gozzard, our team of award-winning Paddington hairdressers are always looking for authentic storytellers and artisans for inspiration. For too long fashion held up an impossible, homogenised ideal but now, times have changed. Hair looks at fashion shows may seem superficial to some, but they are also a form of expression and a way to communicate with the world. Here we take you from Paddington to Paris to see some of the designers’ visions which will be inspiring us in the salon. Did you know those little wispy bits of hair that have you reaching for the hairspray and tongs have a hair term? Baby hairs. 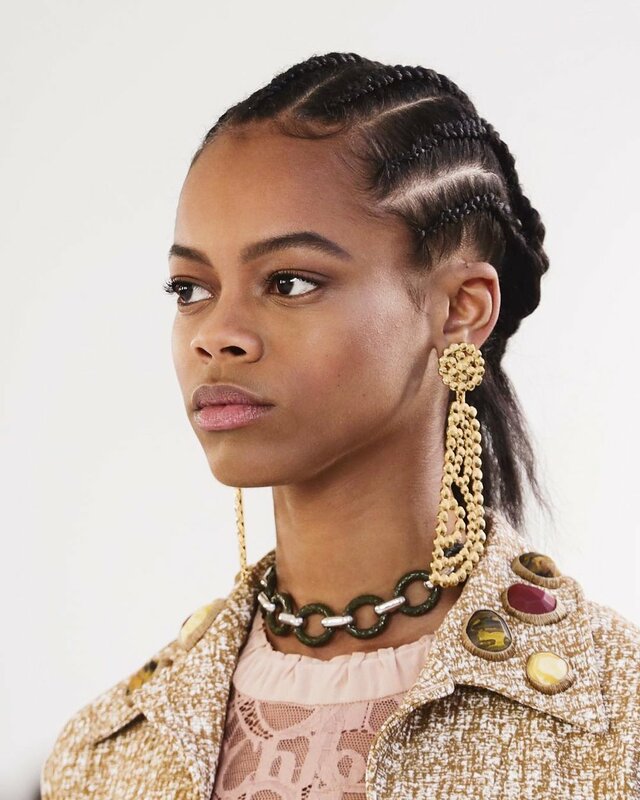 With a deep history in African American culture thanks to the prevalence of appearing in naturally coarser, textured hair, it’s simplistic to consider them a trend. Yet, runway after runway they continued to be highlighted. Fendi pulled hair up into a super tight top knot and then brushed out the hair around the face for a doll-like and youthful effect. Described as Victoriana mixed with a pinch of 70’, the look is universally flattering as it combines a sleek finish with the softest of face framing flattery. In a sea of textured and organic looks, this show was a sleek breath of fresh air. Less a hairstyle and more a stunning sculpture, these styles were ultra glossy and glamorous. Hair was pulled sharply off the face and pulled into a low ponytail at the nape of the neck. This was then tightly twisted and coiled around itself to create an elaborate serpentine structure which was discreetly pinned in place. The key here was the glass effect finish, allowing the curled sections to catch the light at different angles and highlight the hair colour and depth. The Chloe girl tends to be the epitome of French chic but this season, it was more about unadulterated glamour and haute appeal. There were lashings of teased, glossy waves and unruly profiles. Most of the looks felt wild and untamed with naturally curly haired girls back-combed to add even more volume and height. Straight haired girls got plenty of added height themselves but with a little more shine. 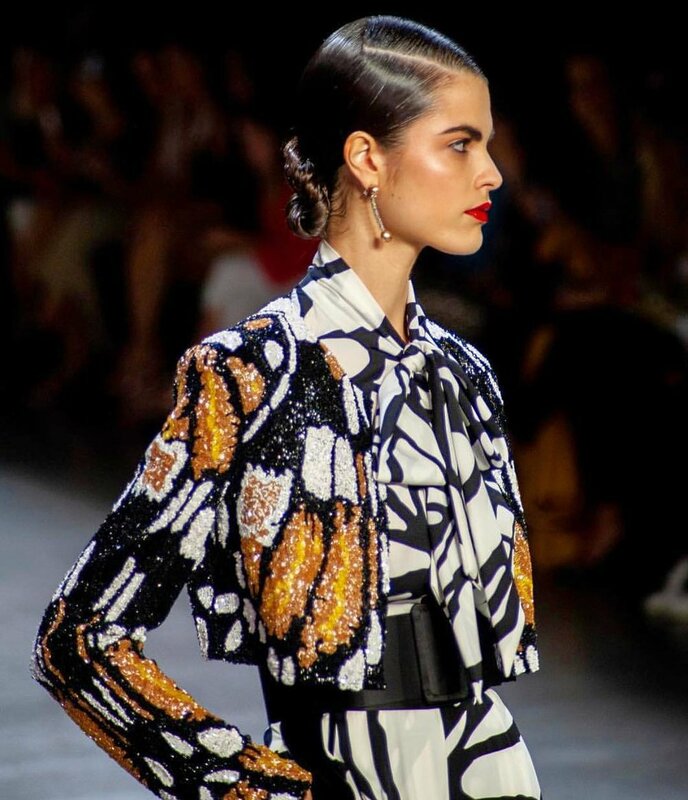 We also loved the tautly woven cornrows contrasting against all that overt texture. All three looks felt unique and authentic, allowing each girl to find the hippie warrior within. Feel free to book in to see us if these looks have inspired you to try something new. We’d love to see you in our Paddington salon!